As a society we absolutely eat too much added sugar. There’s no doubt, also, that for some drinking the requisite 1½ litres of water a day necessary for health can be challenging. 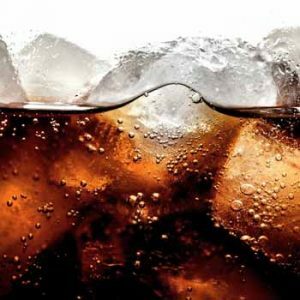 So a study showing that artificially sweetened sodas can actually work just as well, and in some cases better than water in aiding weight loss is a cause for celebration – yes? But hold off on the celebrations for a moment because there are all kinds of things wrong with this picture. The study was neither as bad – nor as conclusive – as the media furore made out. The researchers did hedge their bets considerably in many their conclusions. In fact the best that could be said for the data they reviewed was that it was mixed and probably relied too heavily on animal studies and not enough on human ones. More troubling was the whiff of ‘science for sale’ emanating from the unremarkable review like the proverbial bad smell. The study was funded by the International Life Sciences Institute (ILSI) Europe, which claims to be a non-profit organisation using science to improve health, but whose members include soda giants Coca-Cola and PepsiCo as well as Nestlé, Mars, and Unilever. Businesses fund studies all the time, so even that might not have been so remarkable except for the further details that have begun to emerge post-publication. ILSI members Coca-Cola and PepsiCo are also part of ILSI’s Eating Behaviour and Energy Balance Task Force, a group which aims, amongst other things, to refine the messaging and claims around low calorie products, and which has the named author of the current study, Peter Rogers, a professor of biological psychology from Bristol University, as its co-chair. Rogers is also reported to have previously received research funding from “Sugar Nutrition, UK,” an industry lobbying group formerly known as the British Sugar Bureau. Which peers did the reviewing? Soft drink companies have been involved in funding similar studies through the years showing soda in a positive light. In 2014, the American Beverage Association funded a study that also concluded that diet soda is better for weight loss than water. The University of Bristol defended the new paper by saying that it had been through the peer review process. In other words, other scientists had read and approved it before it was published. But the peer review process itself, is widely acknowledged to be in tatters and, some believe, is an important source of scientific corruption. So, of course, is corporate funding. A 2005 a survey of 3247 publicly funded scientists, published in the journal Nature, found that 15.5% of those questioned admitted to altering design, methodology or results of their studies due to pressure of an external funding source. Nature glibly referred to it as Scientists Behaving Badly. Other evidence suggests that medical research institutions questioned were willing to allow pharmaceutical companies sponsoring research to alter manuscripts according to their interests before they were submitted for publication. For a real eye-opener see the report Science and the Corporate Agenda: The detrimental effects of commercial influence on science and technology by Scientists for Global Responsibility. Fake sugars are just plain bad for you. A study in the prestigious journal Nature which involved animals and humans, tested three popular sweeteners: aspartame, sucralose and saccharin. It found that these, especially saccharin, could actually hasten the development of glucose intolerance (by having a direct effect on the body’s ability to utilise glucose) and therefore metabolic disease. The fake sugars did this in a surprising way: by changing the composition and function of naturally occuring bacteria in the gut. Other evidence show that the sweetener sucralose can actually cause a spike in blood sugar. Still more shows that regular consumption of artificial sweeteners could put some at higher risk of diabetes. Water, unlike sodas, is necessary for life and health. Water brings with it none of these uncertainties or risks. In fact, a recent study found that simply having a glass of water before mealtimes actually helped obese adults to lose weight. Fake sugars are what happens when we allow industry to take the lead in tackling health problems. Industry will always take a product-led, ‘don’t buy-that-buy-this-instead’ approach – an approach that history has shown can take us all down the road to Hell. 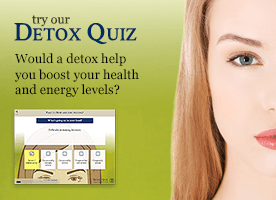 Can acupuncture help you shed unwanted pounds?